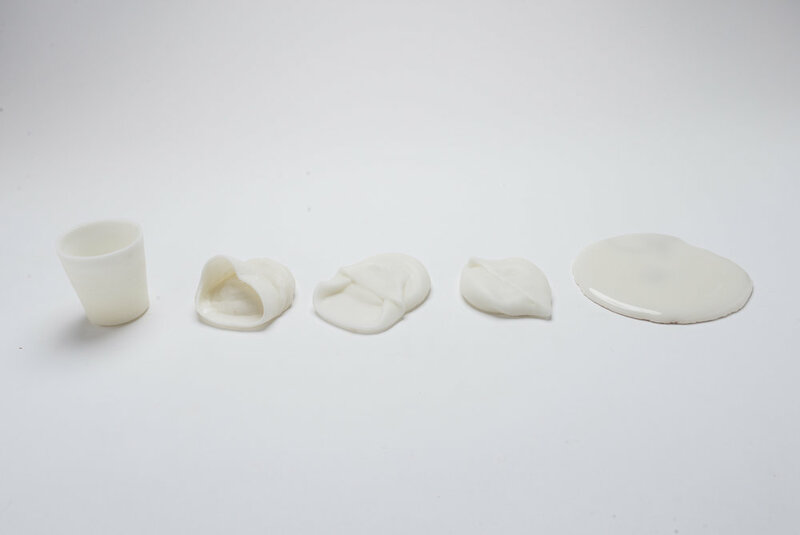 These images are an excerpt of the development of a porcelain clay body which matures at an extremely low temperature. I have been working closely with one of my students in developing this clay and during the Fall 2017 semester we mixed and fired over 100 different clay recipes. There are very few historic examples of this material and there are no successful published recipes. 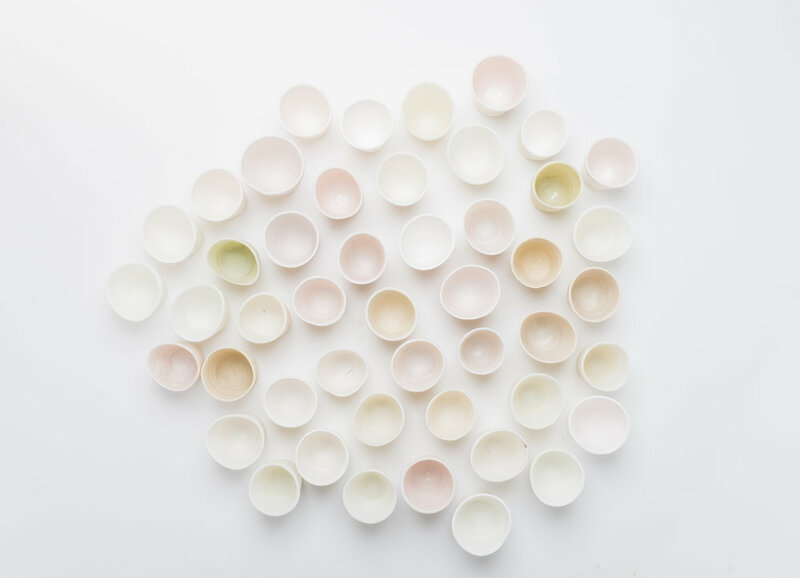 In December 2017 we successfully created numerous recipes which fulfill the criteria of being workable, extremely white, translucent, and vitreous at earthenware temperatures. As an unexpected gratuity, we developed various formulae which are colored and self-glazing. Figure A. his image shows the melting range of similar clay recipes fired to ^05 oxidation. Figure B. These are the final white and black porcelain recipes and are the result of over 100 clay recipes. 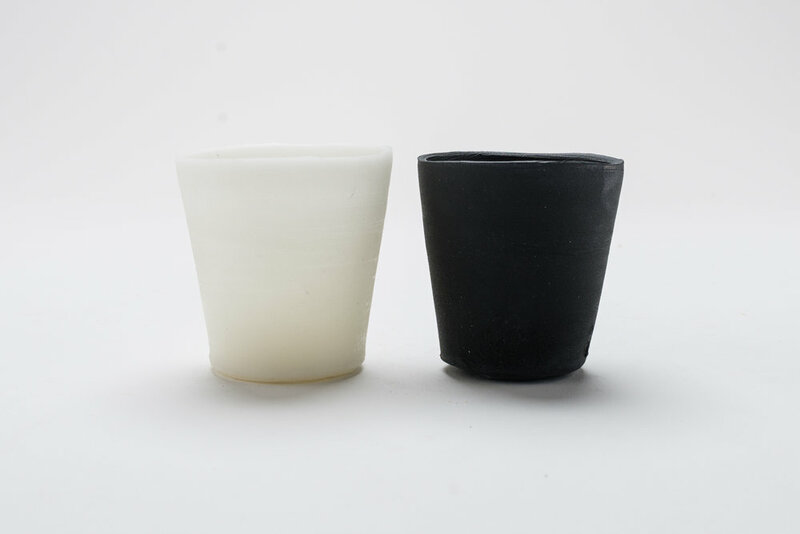 The figure on the left is matte, white, and translucent, and on the right is matte black. Both examples are .01% porosity at ^05. Figure C. A humbling experience in the methodical brutality of the ceramics process.